Author: May, Peter Set In . 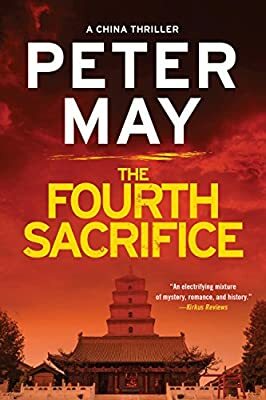 . .
Li Yan and Margaret Campbell are reluctantly reunited, this time to track down a killer reenacting a series of gruesome rituals. The Chinese police have once more been forced to enlist the services of American forensic pathologist Margaret Campbell, this time to investigate a series of four horrific ritual executions in Beijing. Detective Li Yan is determined to discover just how one of the victims in particular, an American diplomat, became caught up in the slaying. And he is arguably even more determined to have nothing to do with Campbell, whom he finds simultaneously too foreign and too . . . familiar. The personal polarity that once attracted Yan and Campbell again strengthens their professional partnership. Yet the closer they draw to the truth, the greater the danger posed by a killer prepared to do anything to conceal it.